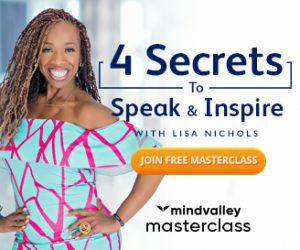 In this review I will be giving you detailed information on Mind Secrets Exposed 2.0, which is an upgraded version of the product launched by Greg Frost and Alvin Huang back in 2013. The art and science of getting what you want, as their tagline suggests this product is prepared essentially for people who are looking for mind tools that could help them to enhance their ability to achieve success in all areas of their lives. Based on the very famous myth that has been used by countless people to sell their products which says “we use only 10% of our brains”, the authors claim to provide methods that will help you to make the complete use of your brain. One thing that I agree is that we all don’t make complete use of our subconscious mind power in our favor and anything that teaches us to do that is definitely worth trying. The book claims to reveal the methods using which you can make use of your dormant inner mind power to accomplish your goals. The authors promise to hand you the tricks that will enable you to deliberately tap into the subconscious mind power using which many people have received great ideas that has even lead to some remarkable breakthroughs in the history, they give the example of the “insulin therapy” asserting that it was a result of inspiration received by the discoverer in his dreams. I am sure about the other similar incident illustrated by them, which is the record breaking song of the Beatles “yesterday”, that certainly was an idea born in the dream of the composer and I know many such incidents, but can we do that deliberately? Well, that’s what they promise. Greg and Alvin studied the lives of successful people to prepare this material, especially to find out the mindset, behaviors, attitude and motivation that lead them to the top. Makers have prepared this mind secrets program so that you could replicate the actions of the winners by using these techniques as they found that all successful people had common patterns of brainwave frequency and brain states. You will get some good tools to set your mind’s focus towards success. We all have the potential to manifest our desires, but our subconscious mind that controls all our behavioral patterns is set to generate the same results over and over again which is in conflict with our dreams, so here you will learn the methods to change that programming in a way that it starts working in your favor. Chapters in the book like “Miracle of the Mind” and “Achieving Positive Outcomes” will help you to do this. A very obvious reason why you might be exploring such materials is to gain a deeper understanding on how to use your subconscious power to create wealth and that’s why you will get to read the chapters named “Programming Your Subconscious for Wealth Creation” and “To be Rich” here, which will help you to develop a mindset of a rich person. Chapters in the book like “The Key to Everlasting Happiness” will teach you the ways to become a happier person. There are rituals that you can follow to raise your vibrations everyday and you will get some real good advises here for improving your mind states for becoming a emotionally healthy person. You will also get tips to attract your soul mate and to improve your relationships. This is what I liked the most in this book as I believe that we hold the ability to heal ourselves. In fact, I have talked about spiritual healing in many of my posts. Chapters like “Modern Subconscious Healing” consists some real good information that can help you to heal yourself from diseases using your subconscious mind power. Story of a man who regained his hearing ability after 50 years of deafness will surely inspire you to try out these methods. The main material of this whole course is Mind Secrets Exposed 2.0 manual which is a 160 page e-book. This book contain chapters that teaches all the stuff that we discussed in the earlier part, apart from this there are few things that I found interesting in it like the tricks to remove the negative mind conditioning, “try this” activities after every chapter and the 10 minute ritual for dream manifestation. The information provided in course is mainly for the purpose of empowering you with the power to bend reality as you want it. You will also get an audio book. It will be of great use to you if you are an auditory learner, it can also come handy if you want to use your spare times like “commute to work” for learning from this stuff. Dream planner guide is another part of this program which is a short 11 page handbook that helps you to plan your goals so that it becomes achievable. The Mind Enhancer suite bonus are few brainwave entrainment tracks that you will get as an additional material with this product. Quick Wealth System- This is a set of 9 videos where the author teaches a few methods using which he generated a lot of income online. If you are an online marketer then you might not want to miss this. The author provides a few instructions using which you can make money by just investing 2 hours daily, plus his gives 3 step technique to earn a lot of money. 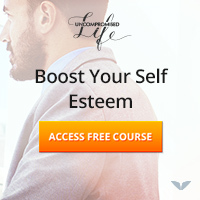 You will also get a free access to their success monthly subscription. PS: – Please note that the bonus materials may vary from time to time, please check product website to know what they are offering right now. You cannot become a superhero overnight Period. Every skill requires efforts and proper training, so does self growth. If you are willing to buy this product by believing in the promotional stuff, then this would definitely prove out to be a scam for you. But, if you want to gain knowledge using which you can train your inner mind and build a success mindset then this product will definitely look great in your self help collection. One of the main user complaints about this product is about the authors as they are not famous or experienced, hence many people are judging it. However, I don’t find it any less than the other products belonging to its category. As I mentioned earlier, if you are someone who loves personal development materials like me then you must definitely try this. I would suggest this product to anyone who is willing to learn about the workings of his subconscious mind, the only drawback I find here is the price which is a little higher than its actual worth as per my opinion. But, considering the bonus materials I think the deal is moderately fair. For further details visit the product website here. Is mind secrets exposed 2.0 a scam?